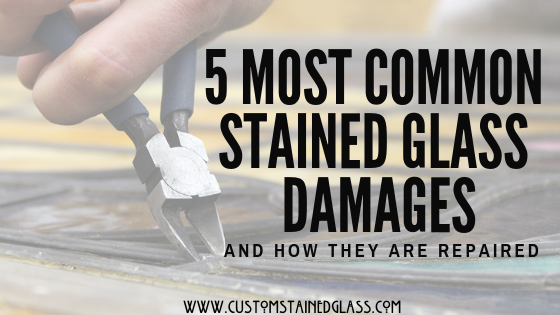 Here at Custom Stained Glass, we work with a lot of churches so we understand just how much they love their stained glass windows but damage is common especially on church stained glass over about 80 years. from time. 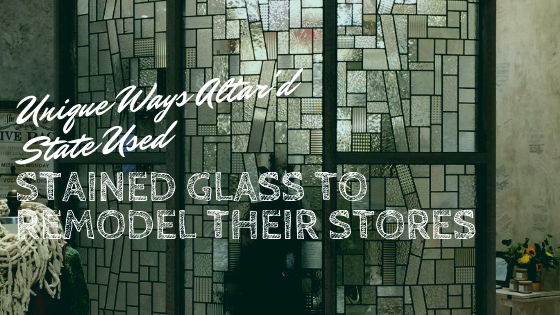 The fact of the matter is, almost all stained glass over 80 years old, church or otherwise, are in need of repairs or restoration because this is about how long church stained glass built to in the early 20th century. 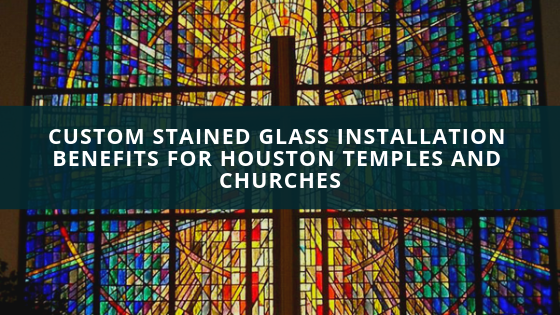 Happily, you have come to the right place, because at Custom Stained Glass we have worked with many churches across the country to repair and replace historical stained glass windows in dire need of restoration work. As experts in this field, we have prepared a list of the most common damages you are likely seeing right now and an idea about how we will fix it. Failed/Missing Sealant: Sealants and glazing compounds used in church stained glass are always dry out– it is just a matter of when. This causes small cracks in the sealant, which will allow water to seep through. This not good for the longevity of the glass, lead or frame. Sometimes we reseal these on the window, but often times we would prefer to remove the entire window to reseal more thoroughly along with other restorations and/ replacements. 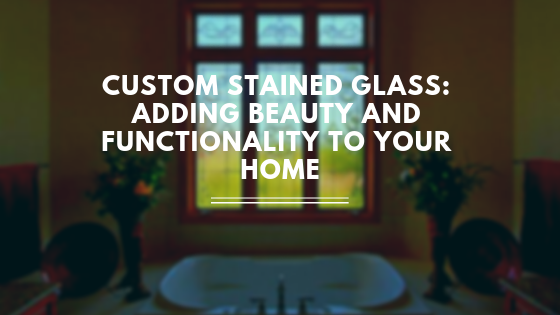 Cracked Or Missing Glass Pieces: This type of damage is extremely common and nothing to fret about. We can usually fix cracks, (depending on their size and shape) with a simple lead overlay or glue seam. 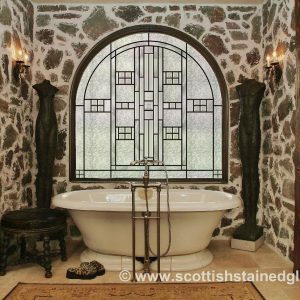 But, missing pieces of older stained glass will need to be custom made for an exact match. Sometimes we can do this without removing the window but other times we recommend removing the whole window to do a total restoration if the cracks are large or missing pieces copious. 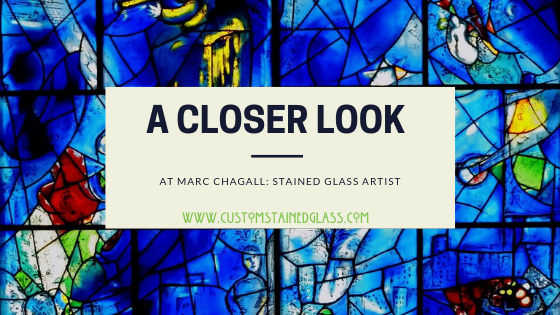 Broken Pieces/Damaged Leading: A stained glass panel with a lot of breaks in the lead really needs to be removed from its frame and be repaired–sometimes in just the affected section that we re-lead. 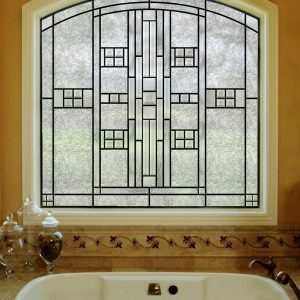 If the caming damage is considerable–it is best to have the entire panel and even the whole window re-leaded to extend the life of the whole window. Frame Damage: Frame damage is common in older windows because even if your church’s stained glass has been repaired at some point, it was usually the glass, not the frame that got the work. We will repair damaged wood with the application of epoxy resins and/or specialty fillers but extensively damaged or badly deteriorating sections of the frame will likely need to be replaced completely–rather than risk total failure. Large panels on stained glass windows need to be very strong support because of their incredible weight. This is most often done with steel bars but copper ties were used in the past too. These bars/wires are soldered directly to the lead so when they come loose or detach, bulging and then eventually failure occurs. The only and best way to fix this is with the removal of the panel and re-soldering of the bars or copper ties. If your Church has these types of damages or others you don’t see here, contact us here at Custom Stained Glass. We have offices across the country and will give you a free assessment and estimate of your church’s stained glass. Church Stained Glass Restoration In Action from Custom Stained Glass on Vimeo.